Lately a rugged style in men has really been coming back in a big way. The kinda style that you would get from living in a log cabin or going mountain climbing. There's nothing cooler for a guy then throwing out all that flashy bright colored clothes and getting back to nature. 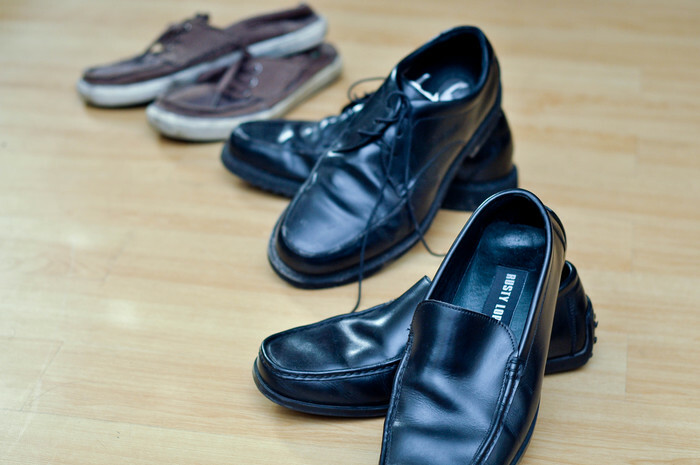 If you want to get back to dressing with a purpose not just to look cool, read on! Dress with a reason. You don't need a thousand shirts when you only wear two. You don't need to wear a jacket when it's a 100 degrees outside. 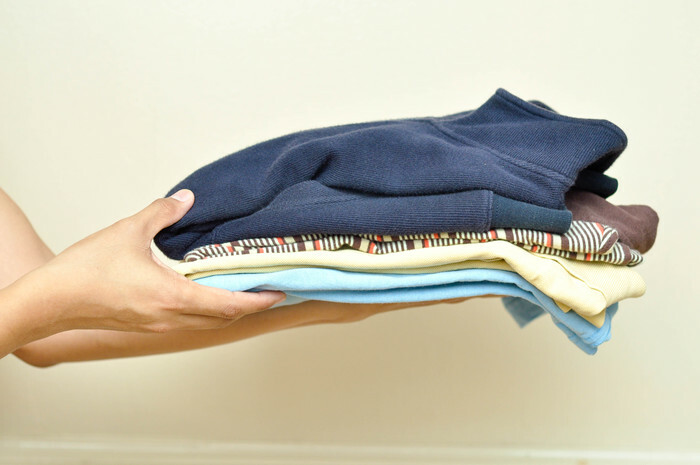 Donate those clothes you don't wear anymore to people who could use it. You can still look really good just having basic items and mixing them up. Shirts: Stay away from dress shirts unless you're at work. Shirts that are not meant to be dressy have shorter shirt tails and look way better untucked. Always remember: Plaid shirts always looked rough and great - they go with almost anything and could easily be thrown on. If not plaid, find a good work shirt made of rough material. Sometimes: Western shirts or military/camo. These shirts look great but you don't want too much of them you don't want to be known as the Cowboy or the Solider, so don't overdo it. T-shirts: Stay away from big designs or hip-hop/band shirts. 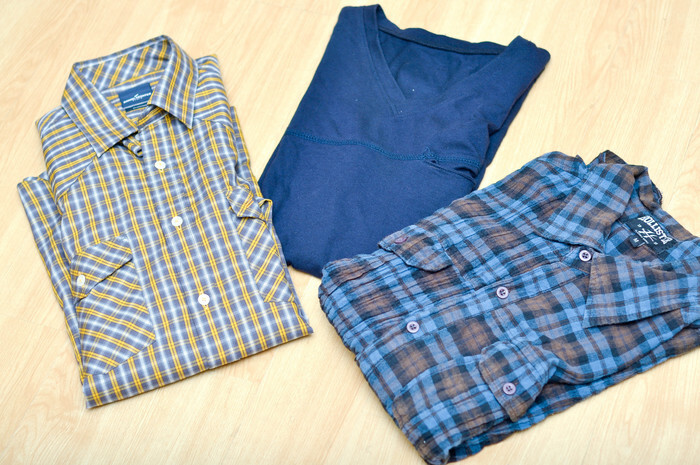 If your shirt does have a design, go for the small or toned down kind. A plain shirt really shows the character in you instead of your shirt being a character in its self. A few pair of t-shirts will do you. You can wear them multiple times unlike a design shirt where you get known as 'The Skull Shirt guy' Always: White, black, or gray Crew or V-neck. These are such a no-brainer. You can easily pick these up in a pack of 3. You'll already feel a lot more macho when your friends are going to boutiques carefully picking out what shirt has the coolest colors, when you're just throwing a 3-pack on the counter, ripping open the bag and throwing on a shirt before you leave the store. You can leave your shirts unbuttoned, but you don't wanna get too many in risk of being 'That Guy' one should do ya. Pants: You really don't want to overdo this. Nothing is cooler then having a broken-in pair of reliable pants. You shouldn't need more than 3 pairs. You want a good fit. Something that actually fits you. You shouldn't have to hold them up (avoid the hip-hop look) or keep pulling them up to wear them. But you don't wanna look like you're in a Poison tribute band. Measure your waist and legs, and buy your pants according to that. Go for straight leg or slim fit. Avoid skinny jeans and boot cut! (You don't want to look like you have bell bottoms on.) Always: Blue jeans and work pants. 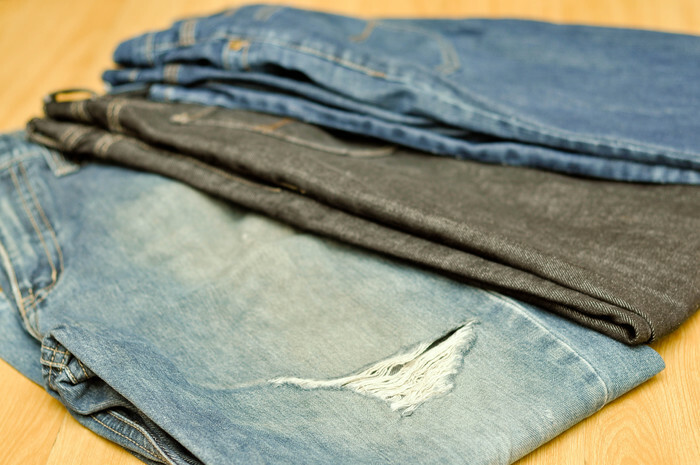 Blue jeans should be in a darker tone - nothing too acid washy. Don't get pants that are pre-ripped and worn. You're tough, so you can let it happen on its own. Go for a tan pair of rough work pants. This holds up during work and looks cool around town. Side note: You can roll up your pants (cuff them) as this looks really cool and rough. Sometimes: Cargo and Chinos. Cargo (pants not shorts!) is really masculine and hold purpose but you should only need one pair. Chinos can be rough, so go for a dark pair. But more than one will take away from the roughness. Outerwear This is a fun one and the most useful one. You have the most option here. You should probably stay to two or three. 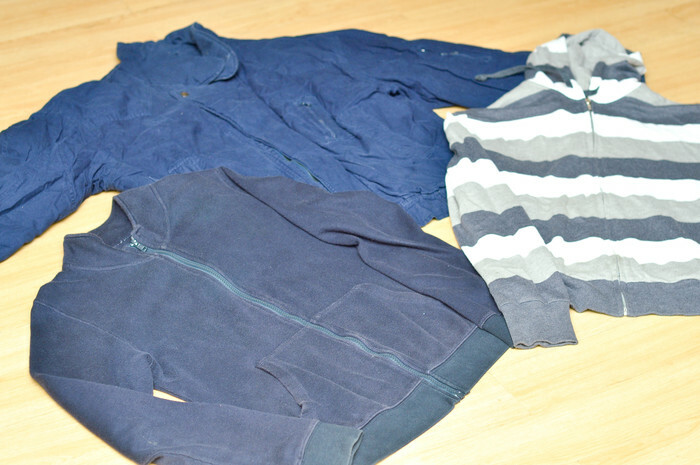 One heavy winter, one rain proof and one for when it is slightly cold outside, if you prefer. Always: Look for the rough rain coats made of durable material that will deflect the rain and take a lot of abuse. If it's arctic out there, get a heavy Parka. These can usually take abuse and look pretty cool. Sometimes: Military jackets are cool as they're easy to find and serve their purpose great. You can usually find them at any vintage or thrift store. Accessories This is a part you really don't wanna overdo. But a little touch here and there can really look cool and stand out. Always: A watch. It is pretty important for a man to have a watch. You needn't go out with it every time, but you should at least own one. You should go for a more military or survival type watch. Something that can take all your harsh conditions. Sometimes: Bracelets and necklaces. If you're going to do, this go for something earthy. 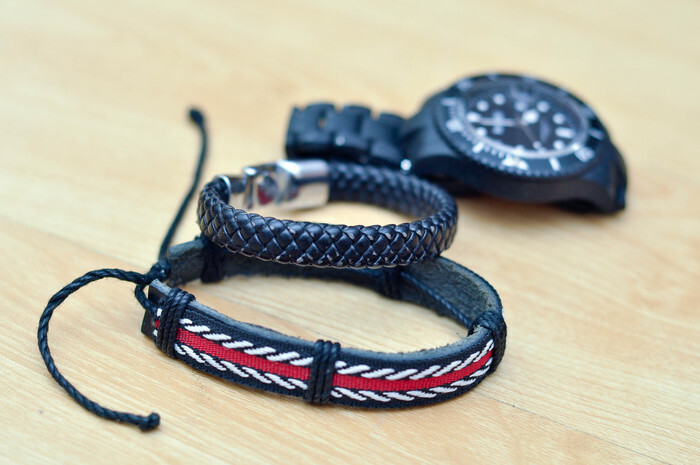 Wooden bracelets or string-like bracelets look great. Leather is also a cool manly look but, you don't want to overdo it. With your necklace, don't think chains but think anchors, or dog tags. If you wouldn't make fun of somebody for wearing them, odds are they won't either. Shoes: First of all you need a pair of rough boots and some normal shoes. Go for dark colors and brown. The more basic the better. Stay away from tennis shoes and other flashiness - the more beaten up the better. Hair: You can go any amount of ways with this. The classic cut is a great easy haircut to get. It is trimmed around the sides with bangs that are left a little longer. Wear this style messy. If you wanna put a little product in your hair go for pomade, no pointy rock-hard spikes. Long and natural. If you're going to do this, try not have your hair in a girlish way like a lot of guys with long hair do these days. If it's real long ,take it back behind your ears - go for a Christan Bale look. Consider the weather when dressing. Dress like it feels. In summer, don't put on a jacket if it is sweltering hot outside. In the winter, wear a layer of thermal.